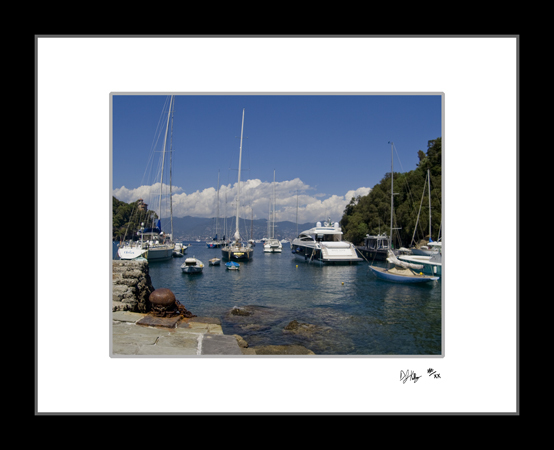 This photograph looking over the port of Portofino, Italy captures the clouds over the horizon and boats in the harbor. Portofino is an Italian coastal town in the province of Genoa, This picture shows the calmness of the water in the port and the large boats found throughout the port. The town is located along the Italian Riviera, climbing from the sea up into the mountains protecting the harbor.